Any SEO expert knows what his or her experience and expertise entails; unfortunately, many clients may not understand these nuances and therefore consider all SEO specialists to be the same. It then falls on the shoulders of the SEO expert to determine which clients he or she should work with and which are best suited for other search engine optimization professionals. So what questions should you ask a potential client before accepting their business? We have outlined five of the most important ones that any professional should ask before working with a client on any search engine optimization project. 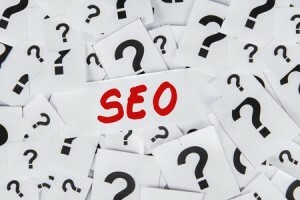 Have You Used SEO On Your Site Before? This question is one of the most important: many people take SEO into their own hands and in the process, can do much damage to their credibility and rankings if they do not know all the requirements beforehand. You may discover that the client’s site – especially if has been around for a while – is too far gone to save and revive. Knowing whether a client has used less than desired SEO practices will help you avoid headaches in the short and long term. Having this information before making an agreement to provide services is vital. If a client is attempting to work their way into a very crowded search query, it may prove to be a larger task than you are capable of helping. When the potential client provides you with these keywords and phrases, check them – along with the website – in Pingler’s Search Engine Position Checker. This will tell you what their current ranking is and whether or not they stand a chance at improving their rankings. Most search engine optimization gurus understand the value and importance that social networking plays in any successful strategy. While this question may not be a deal-breaker like others, it will give you insight as to whether you will need to help build a social networking presence for the website, or can take advantage of an existing, already-developed platform. The former will give you more opportunity to earn revenue, while the latter will make the job of driving traffic to the site much easier. Has Your Site Ever Been Penalized? While some site owners may not know if the actions they have taken have led to penalties, it is always important to ask this question upfront. If a site appears to have been penalized at some point, it may or may not be a bad thing. Some actions are reversible in the long-term and may be preferred by owners who already have an established presence with some traffic and revenue. However, some penalties imposed by search engines cannot be corrected and will end up being a nightmare for you. What Statistics Are You Currently Monitoring? Any metrics that are being observed by the webmaster can help you make greater sense of the current, overall standing of the website. It will also let you know how professional the current site owner is at monitoring his or her success. While obtaining metrics data is not difficult, it does give you an idea of the organizational capacity and therefore, the likelihood of your potential relationship being successful. « Is There a Correlation Between Keyword Rich Domain Names and Website Ranking?